Some people avoid the dentist because they are afraid of pain. It’s not just pain in their mouth that frightens them — it’s pain in their pocketbook. The Placerville Dental Group understands that no one enjoys ugly surprises, like an unexpectedly large bill. That’s why we always make certain to explain your treatment options and their costs before we do anything with your teeth. We also realize that insurance coverage is generally confusing. 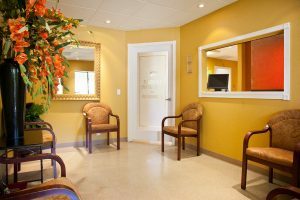 Our office staff includes experts on the matter and they sort through the fine print to give you the best estimate possible of your upfront costs for treatment. If you don’t have insurance, we can work out a payment plan through in-office financing or make suggestions about the best forms of coverage. We also accept all major forms of payment, but please ask us first if you plan to use gold dust! Always providing treatment options with specific cost estimates. Accepting many dental insurance plans. Sorting through your insurance policies to determine the best deal for you. Offering in-office financing through Care Credit. Your dental health is an investment in your future! Don’t let concerns about cost keep you or your family from getting needed treatments. Dental problems never get better on their own — they only get worse and more expensive to fix. Please meet with the Placerville Dentistry Group to find out your best options for affordable dental care.